Otaibi, Saudi Arabia's senior diplomat in Istanbul, left Turkey on Oct. 16, a day before his official residence was searched by Turkish investigators - and three days before Saudi Arabia conceded that Khashoggi had indeed been killed inside the mission. As Mohammad al-Otaibi walked a team of reporters through the rooms of the six-story Saudi Consulate in Istanbul, he avoided eye contact and buried his hands in the pockets of his suit pants. In a cartoonish display, he opened filing cabinets and cupboards to demonstrate that journalist Jamal Khashoggi, who had vanished four days earlier, was not inside. Otaibi, the Saudi consul general in Istanbul, had never been a high-profile diplomat. But that changed on Oct. 6 with his guided tour for Reuters reporters, and he instantly became the face of Saudi denials that Khashoggi had been kidnapped or was killed inside the consulate. He insisted that Khashoggi had left through one of the building's two entrances. Saudi officials would eventually admit that Khashoggi had been killed inside their diplomatic mission, but by then Otaibi was gone. He had returned to Saudi Arabia. And though the kingdom would detain or fire more than 20 people in connection with the slaying, Otaibi was not among them. In fact, he has not been heard from for weeks. Turkish investigators concluded that Saudi officials had dispatched a 15-man hit squad from Riyadh, which killed Khashoggi and dismembered his body. Those 15 Saudis were among 18 people arrested in Saudi Arabia. Five others, including four intelligence officials and a senior adviser to the royal court, were dismissed from their jobs. That Otaibi appears to have escaped punishment so far has rankled senior Turkish officials, who see him at the very least as a key witness and accessory in the murder, as well as a liar. Turkish President Recep Tayyip Erdogan has singled him out twice as having a role in the coverup, saying in a Washington Post op-ed that Otaibi had "lied through his teeth" and fled the country. "Though Riyadh has detained 18 suspects, it is deeply concerning that no action has been taken against the Saudi consul general," the Turkish leader wrote. More than a week earlier, during a speech to his party members in parliament, Erdogan accused Otaibi of thwarting the efforts of Turkish investigators by refusing entry into the consulate in the early days of the investigation. "I voiced some things about his incompetence . . . to the [Saudi] king," Erdogan said, adding that Otaibi was recalled from Istanbul after Erdogan's conversation with Saudi Arabia's King Salman. 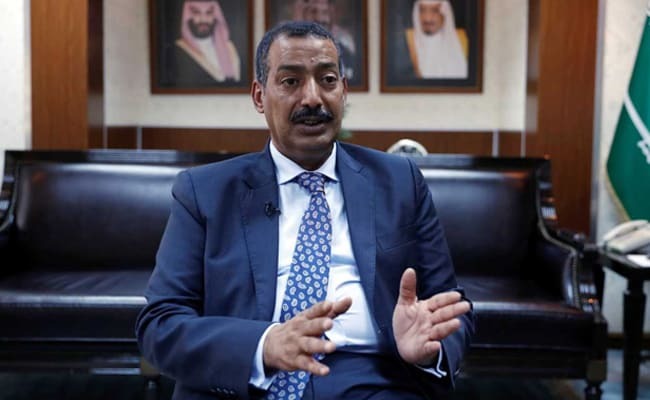 Saudi officials have refused to discuss Otaibi, and the Saudi Foreign Ministry did not respond to requests for comment and clarification on Otaibi's diplomatic status. Efforts to reach Otaibi through the ministry were unsuccessful. Erdogan's comments about the consul general underscore Turkey's frustration with how Saudi Arabia has handled the probe into the killing, with Turkish officials repeatedly accusing Riyadh of obstructing investigators and destroying evidence. Turkish officials have accused the Saudis of stalling searches of the consulate building and the consul general's residence, which some members of the alleged hit squad visited after leaving the nearby consulate. By the time Turkish investigators were allowed in, the consulate and residence had been thoroughly cleaned. Turkey's frustrations were compounded with the visit to Istanbul late last month of the chief Saudi prosecutor, who Turkish officials said was more interested in finding out what evidence Turkey had on the operation than in sharing any information about the 18 suspects detained in Saudi Arabia. The kingdom, meantime, has shifted its story multiple times since the initial denials from Otaibi and Crown Prince Mohammed bin Salman, who told Bloomberg News just a day after the killing that Khashoggi had left the consulate soon after he entered it. Otaibi, who was named consul general in Istanbul in late 2016 after postings in Nigeria and Indonesia, has emerged as a central figure in Turkey's assessment that Khashoggi's killing was premeditated and that an elaborate coverup was planned. "If the consul disagreed with the plan, he could have called the Saudi ambassador in Ankara or taken the 45-minute flight there to meet in person," said a senior Turkish official, speaking on the condition of anonymity to discuss an ongoing investigation. "Our assessment is that he was certainly aware of what was going to happen to Jamal Khashoggi." Turkish officials say Otaibi's role as an accessory to the killing of Khashoggi has been firmly established through his early denials and alleged obstructive refusal to give investigators access to the consulate after Khashoggi's disappearance. Turkish officials say, however, they remain unsure of what role, if any, Otaibi played in the actual killing. Given his role as the senior diplomat in the consulate, Turkish authorities have been skeptical of the notion that Otaibi was an unwitting bystander to the killing. "If there is a murder planned in the consulate, he would be informed about that," said an adviser to Erdogan, who also spoke on the condition of anonymity. Mehdi Eker, a lawmaker and senior member of Erdogan's party, said the nature of Otaibi's involvement could be determined if Turkish authorities were allowed to interrogate him as a witness. Eker said he is mystified as to why Otaibi was not among the Saudis arrested or fired over the case. Khashoggi, a contributing columnist to The Washington Post and critic of the Saudi leadership, first visited the consulate on Sept. 28 seeking a document that would certify his divorce and allow him to proceed with a marriage to his Turkish fiancee, Hatice Cengiz. Friends of Khashoggi's said the journalist told them that he had met with two senior Saudi officials that day who greeted him warmly and promised to help him with the document. "The first met him and took his details and said to him he would now meet another, more senior official who would handle his case," said Azzam Tamimi, a British Palestinian academic. "We were worried, but he assured us that they'd been nice," Tamimi added. "These are ordinary folks from my country. They have nothing to do with the decision-makers," he recalled Khashoggi as saying. Khashoggi did not specifically mention Otaibi, friends said. Turkish officials, who are trying to understand the depth of Otaibi's knowledge of the plot to kill Khashoggi, say they are trying to determine whether he was one of the senior officials with whom Khashoggi met on Sept. 28. During that initial visit to the consulate, Khashoggi suggested Oct. 2 as a date for him to retrieve the document. Turkey's public prosecutor said last week that Khashoggi was strangled almost immediately after entering the consulate on Oct. 2.